Hale Bradt provides physical explanations of 12 fundamental astrophysical processes underlying a wide range of phenomena in stellar, galactic and extragalactic astronomy. 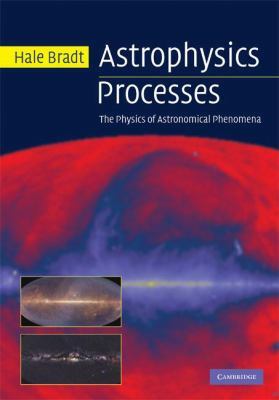 The book contains tutorial figures and step-by-step mathematical and physical development with each process and application.Bradt, Hale is the author of 'Theoretical Astrophysics Astrophysical Processes', published 2008 under ISBN 9780521846561 and ISBN 0521846560. Loading marketplace prices 114 copies from $41.54 How does the rental process work?